Chimney, pipe, roof, rubber flashing | Aztec International S.A.
One Design - handling many jobs. “5 Port Design” multiple function. 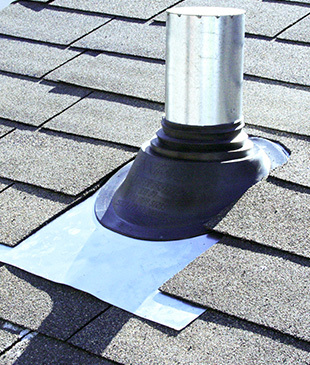 Engineered for profiled roofing materials, Master Flash® roof flashings are easy to customize on site to accommodate to a wide range of pipe and vent diameters. 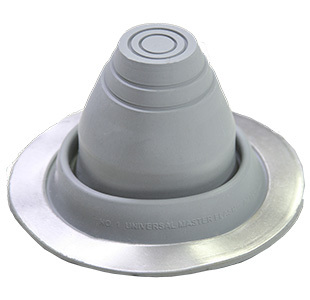 Our broad Master Flash® product range from chimney pipe flashings to ruber roof flashings allows to find sealing solutions also for other roofing types such as ceramic or cement tiles, membranes and plastic.